New evidence uncovered by French authorities have put a spotlight on suspicious payments made at the time Rio was elected host city of the 2016 Olympic and Paralympic Games, putting into question the legitimacy of the choice of South America’s first-ever Olympic host. If allegations are true, the International Olympic Committee (IOC) could face a corruption scandal that would rock the foundation of the already controversial and weakened Olympic bid process, and call into question all subsequent bids including the elections of PyeongchChang, Tokyo, Beijing and potentially the upcoming choice between Los Angeles and Paris to host the 2024 Olympic Games. Three days prior to the election of Rio 2016 at the 121st IOC Session held in Copenhagen, Denmark, Le Monde reports that questionable payments of (USD) $1.5 million were made to a holding company founded by Papa Massata Diack, son of then President of the International Association of Athletics Federations (IAAF) and IOC member Lamine Diack. At about the same time the holding company transferred payments to the younger Diack in a Russian bank account. The original payment was funded by a holding company in the British Virgin Islands that is linked to a very wealthy Brazilian businessman who is involved in construction in Rio, reports indicate. French investigators suspect the payments were made to influence the outcome of the 2016 Olympic bid election. Papa Massata was banned for life from the IAAF in 2016 on corruption charges and Lamine Diack is currently in custody in France for aggravated money laundering and corruption. 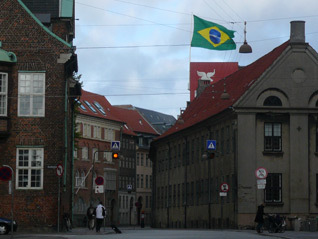 The French investigation also uncovered evidence that through the holding company Papa Massata, on October 2, 2009 – the same day Rio was elected host city – transferred almost $300,000 to an account in the Seychelles that has been linked to Namibian sprinter Frank Fredericks who was the election scrutineer when IOC members voted for the winning bid. That day Rio defeated Madrid 66 votes to 32 on a final ballot; Tokyo and Chicago had been defeated in earlier rounds. Last year French police began an investigation of two payments amounting to almost $2 million made by the Tokyo 2020 bid committee to a company linked to Lamine Diack, occuring prior to the Japanese capital’s election to host the Olympics. Tokyo defeated Istanbul and Madrid but officials deny any wrongdoing, claiming the invoices were for legal consulting services. Fredericks was also the election scrutineer in 2015 when there was controversy over the “integrity” of a ballot to elect either Beijing or Almaty to host the 2022 Olympic Winter Games. The vote was taken using new tablet technology, but the scrutineers, including Fredericks, declared the first vote void and opted instead for paper ballots for a re-vote. The first ballot results were never released, immediately raising suspicion over the process. After a delay between the two ballots and a length paper ballot count, it was announced that Beijing won a narrow victory by 44 to 40 votes. 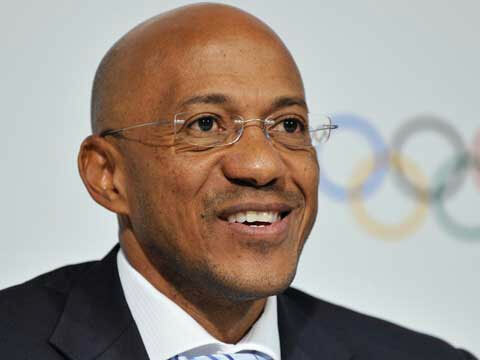 Adding to the immediate urgency of the allegations, Fredericks is currently Chair of the 2024 Olympic bid Evaluation Commission that will help guide IOC members as they elect a host city from between Los Angeles and Paris on September 13 this year in Lima, Peru. IOC spokesperson Mark Adams commented on the new allegations and the impact on the organization. “The IOC has taken note of the serious allegations made in the French newspaper Le Monde regarding the vote to select the host city of the Olympic Games 2016,” he said. “As far as Mr Fredericks is concerned, he informed the IOC and explained the situation and emphasized his innocence immediately upon being contacted by the journalist. “The IOC is Partie Civile to the ongoing procedure initiated by the French Judicial authorities against former IAAF President Mr Lamine Diack and his son Papa Massata Diack, the then marketing consultant of the IAAF. The IOC remains fully committed to clarifying this situation, working in cooperation with the prosecutor. 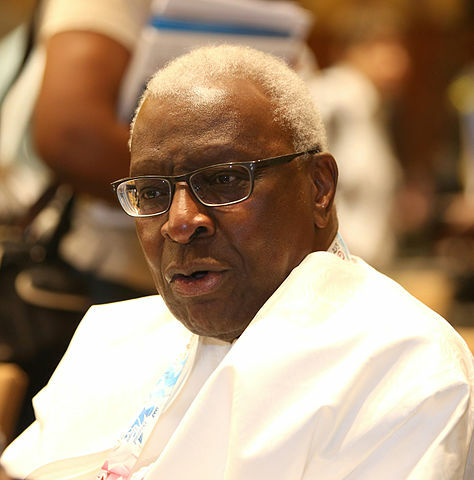 This cooperation has already led to the fact that Mr Lamine Diack, who was previously an IOC honorary member, has not held any function within the IOC since November 2015. Follow GamesBids.com as this story continues to develop.